Data anonymization techniques based on the k-anonymity model have been the focus of intense research in the last few years. 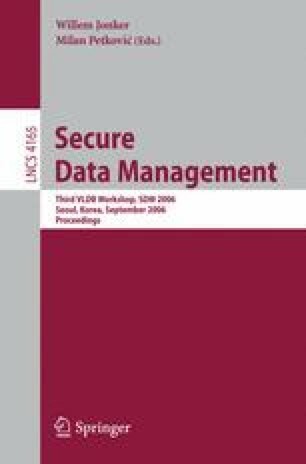 Although the k-anonymity model and the related techniques provide valuable solutions to data privacy, current solutions are limited only to static data release (i.e., the entire dataset is assumed to be available at the time of release). While this may be acceptable in some applications, today we see databases continuously growing everyday and even every hour. In such dynamic environments, the current techniques may suffer from poor data quality and/or vulnerability to inference. In this paper, we analyze various inference channels that may exist in multiple anonymized datasets and discuss how to avoid such inferences. We then present an approach to securely anonymizing a continuously growing dataset in an efficient manner while assuring high data quality.